Black fabric in a mushroom pleated style. Spider fitting. 7" across the top x 17" across the bottom x 11 1/2" on the slant x 11" high. Black lamp shade with mushroom pleat fabric; self trim top and bottom. Needed this type and color. Not easy to find at this price. Lamps Plus is always my go-to site for lamps and accessories. Chose a black shade to prevent light from my bedside lamp reflecting in my TV. Old lamp shade was getting - older looking. Exactly what I need to replace. Just moved. SITE EASY TO USE. FOUND WHAT I WAS LOOKING FOR QUICKLY. What does the top mechanism look like where it screws onto the lamp? I love the look of the Black pleated lamp shade...it has all the qualities that I am looking for. I just dont know about the mechanism for the top???? BEST ANSWER: Hi - this includes a brass color frame, harp and finial (spider shade). Is this soft back shade or a hardback shade with pleated fabric covering? Thanks. Does any light shine through the material on the sides of the shade or are the sides totally opaque? Do to the design and color of the shade, you will get very little or no light emitting from the sides. Shade is hard plastic on inside, very satisfactory when lit. the black pleating is over a hard white interior. What color is the inside lining? BEST ANSWER: Hi - this includes a white lining. The inside lining is white. I want to replace our shades. They are designed exactly like your Mushroom Pleated lamp shade but a different size. My shades measure 6" across top, 18" across bottom, 13 long on slant. Will your harp fit the shade & lower it to fit on the lamp so I don't see the bulb ? BEST ANSWER: Yes, just be sure to use the harp that is included with the new shade. It is sized just right to not show the bulb. Do you have this shade in forest green? BEST ANSWER: This shade is not available in forest green. I traded my cream colored silk shades for these black shades for my brass wall lamps, one on each side of the bed. The light is better for reading; less light is diffused through the shade. And it's a much more dramatic (attractive, I think) look: The bedroom is soft light coffee, the duvet cover and shams, including European shams, are black and white toile de jouey, the accent pillows and the dust ruffle are black and white gingham, with red pillow accent. The black shades are beautiful, practical and affordable. 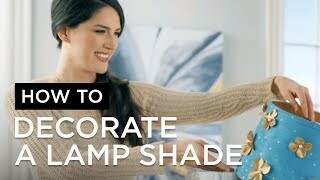 This shade is being used to enhance the appearance and functionality of an inexpensive floor lamp. Packaged well to protect shade in sturdy, large box with bubble wrap and surrounded by peanuts.[...] Will go here first when looking for lighting products. We've come to rely on Lamps Plus to supply reliability. 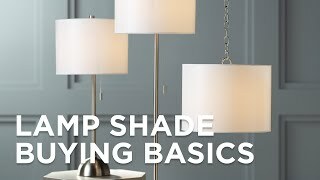 We've never had an issue with replacement lamp shades through this company and not only did these latest shades arrive very quickly, the build quality is excellent. Thankfully refreshing to do business with this source. The shades were a perfect match for my lamps, I could not have found a better fit. These shades have texture due to the fabric which I like. clean with a swiffer duster. Bought to replace an old but very similar shade. Arrived on schedule. Packaging was very good. Included new harp and nut. Would buy from here again. This shade works fine. Only place I could fine a black shade this size. Delivered promptly; good condition, made excellent use of the customer service person, who helped me find just the shade I wanted.